New Zealand’s Maurice Bennett used pieces of toast to create mosaic portraits of famous people such as Peter Jackson and the Mona Lisa. Some of the pieces are barely heated, while others are completely burnt. This provides the artist with different shades of color to use. Jimi Hendrix was a guitarist who bent traditional ideas and changed music forever. 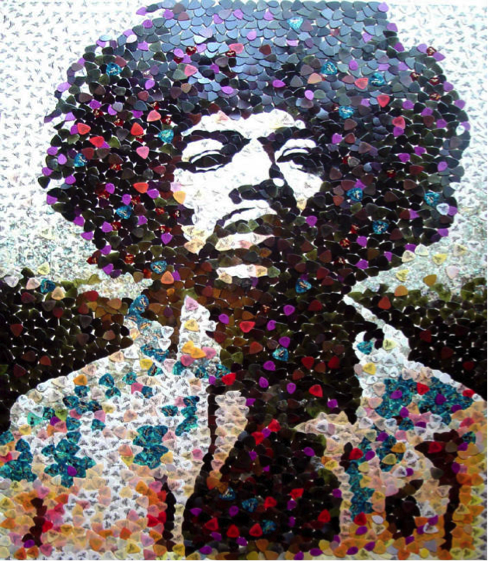 In order to represent the man’s unique genius, Manchester mosaic artist Ed Chapman decided to use guitar picks to construct a Jimi Hendrix mosaic. The music icon would have certainly approved! Peter and Roger Rocha created this mosaic of Queen Elizabeth II during the period of her coronation. 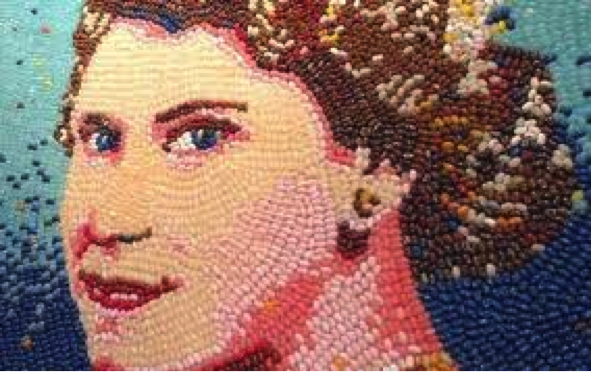 The mosaic artists used thousands of colored jellybeans. This is not their first jellybean mosaic but it is certainly one of their most popular ones. The artwork is now displayed at Fizziwig’s Sweet Emporium in Brighton, UK. 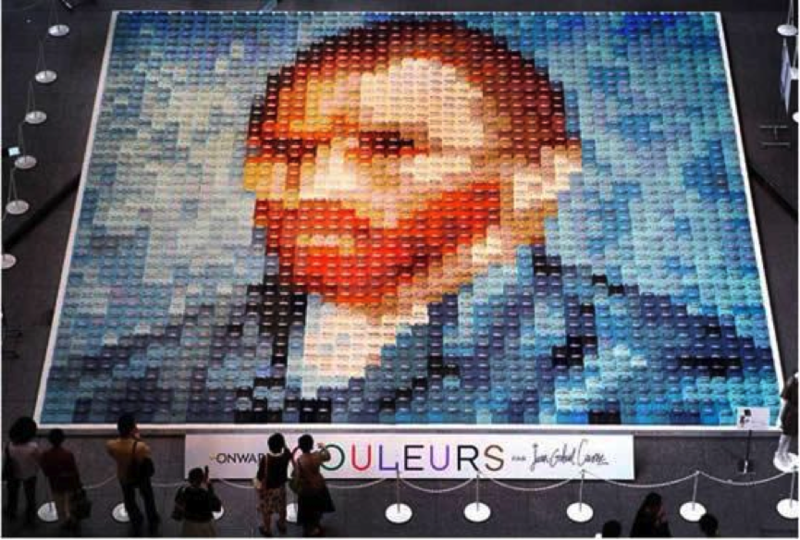 Japanese apparel maker Onward Kashiyama created a campaign that used thousands of polo shirts of different colors to create a mosaic of Van Gogh’s self-portrait. It is currently being displayed in Tokyo. This mosaic is a personal favorite. 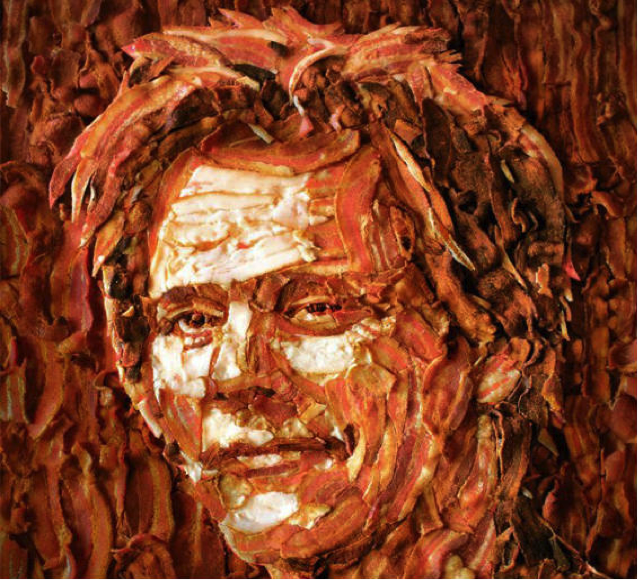 Original and clever, it depicts movie star Kevin Bacon using… you guessed it, strips of bacon! 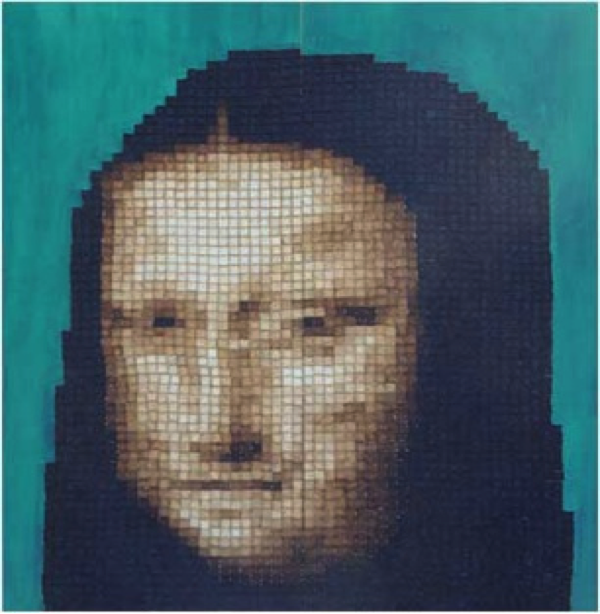 This mosaic was created by Jason Mecier, who employs food and household objects to portray celebrities.